Ladies- Let’s chat about those bathroom drawers and cabinets. It’s no secret that a large portion of our morning beauty routine is simply finding the items that we want to use. We know that our navy eyeliner is somewhere amidst the cluttered drawers, cabinets, and shelves. But where? To help you shave time off of your beauty routine and eliminate clutter, we’ve compiled a list of truly genius ways to keep your beauty products organized and visible! Organize your favorite products in these containers. Not only will they keep all of your favorite things together, but they are also clear, which will make finding that navy eyeliner super easy! 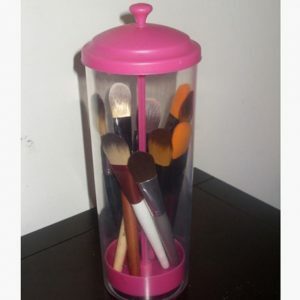 This is an easy and inexpensive way to keep your makeup brushes clean and organized. 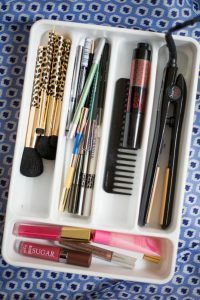 Your kitchen drawers are organized, so shouldn’t your makeup drawer be too? Use a utensil organizer and put all products of the same type in a particular compartment. Looking for your lip liner? Not to worry. It’s in the lip liner compartment. Exactly where it’s supposed to be. This one requires a bit of crafting, but it’s so worth it! 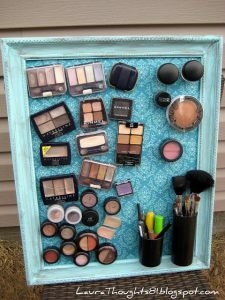 Turn your makeup mess into a work of art! Use a metal sheet (you can find these at your local craft store) and place it in a pretty frame. Hot glue magnets onto the back of your makeup and viola!-an organized work of art! 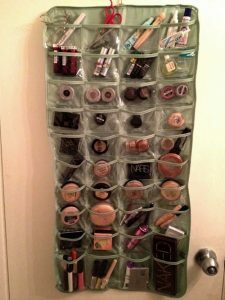 Free up your counter space by using a hanging organizer on your bathroom door to store your makeup. So simple, but so genius! Are perfume bottles taking up a ton of space on your counter? Grab a spice rack! This is another one that requires a bit of work, but again- it’s completely worth it! 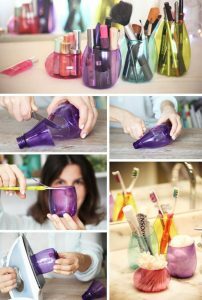 Repurpose old plastic bottles and use them to hold lipstick, brushes and other essentials. Simply cut the tops off and use your iron to smooth the jagged edges. 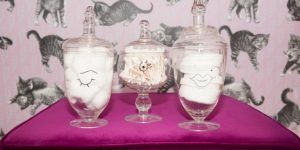 Empty candle holders, mason jars, and other glass jars make excellent storage containers for your cotton swabs, cotton balls, and makeup applicators. You can make them pretty by writing on them with a permanent marker or painting the lids. 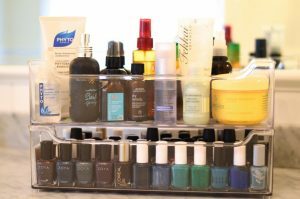 How do you keep your beauty products organized? I want to hear it below.